I absolutely love staying here, apart from the cosy rooms, the fabulous views and the delicious breakfast - the staff are just the nicest most helpful and pleasant people, especially Carla. Guest houses offer a comfortable place to stay. The Travellers Guide has a list of conveniently located guest houses which provide good bed & breakfast holiday accommodation, no matter what your budget is - from cheap to luxury guest houses. Some of these guest houses have "early booking", "free night" and "percentage discount" offers. The Square Guest House is located in central Brighton, England within 500 metres of Brighton pier, 700 metres from Brighton Pavilion and 800 metres from the Royal Pavilion. The beach is 200 metres from the hotel and the train station is two miles away. Hotel Features. This six storey hotel is set in a regency townhouse in the fashionable Kemp Town area of Brighton. This family-run guest house is a 10-minute walk from West Hampstead Rail Station, with good access to the M1 motorway. Free evening and weekend street parking is available. Dawson House Hotel is a Victorian guest house with en suite rooms. Acres Dene Guesthouse is a comfortable six bedroom guest house located on the south side of the city of York on the A19 to Selby. Opened in 1981, Acres Dene Guesthouse in York provides comfortably furnished en-suite bedrooms, a relaxing lounge with television, and a light and spacious dining room where you can enjoy your breakfast. The historic city of York offers many tourist attractions to enjoy and restaurants and pubs where you can dine. The family-run Lantern Guest House is set in Marsalforn Gozo, a few steps from the beach. It offers a restaurant and rooms with a flat-screen TV and a balcony. Rooms are uniquely decorated with simple furnishings and cool tiled floors. Situated in picturesque Portrush, The Aaranmore Lodge Guest House offers free parking and cooked breakfasts. Just 2 minutes' walk from West Strand Beach, the hotel has comfortable rooms and free Wi-Fi. Glenville House is located in Windermere in the Lake District, United Kingdom, half a mile from the World of Beatrix Potter, and 0.5 miles from Lake Windermere. Hotel Features. 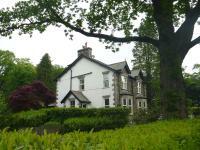 Set in a Victorian stone built Lakeland house, this hotel features wireless Internet access, and offers room service and complimentary parking facilities. Glenville House serves a complimentary full English breakfast in the bistro style breakfast room each morning. Family-run guest house in St Aubin, a pretty fishing village. 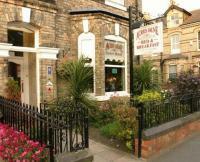 Two beaches, countryside, shops, cafes and restaurants are a short walk. St Helier is a short bus ride away. Our ground-floor rooms have direct access to our patio area and we have two dedicated family rooms. Residents' bar, spacious guest lounge and patio area. Free Wi-Fi. On site parking for up to 6 cars. 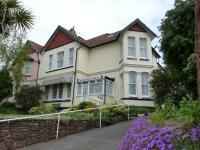 Sonachan House is ideally situated in the heart of the English Riviera. We a re close to the many attractions of Paignton and Goodrington including the b each, pier, harbour, Quay West and the green. With panoramic views of Edinburgh Castle and Arthur's Seat, the family-run Ardleigh Guest House is less than one mile from Leigh Dock. It offers comfortable rooms and free parking. Our guest house has 6 comfortable rooms. Wembley Stadium is 3.3 miles away - only 7 minutes by taxi! Brent Cross shopping centre is 3.8 miles away by car/ 9 minutes by taxi. Our room types include double rooms and twin rooms with shared bathroom/ shower/ WC.